The Dinsmore Boutique Inn has the perfect meeting and event space for small, elegant functions. 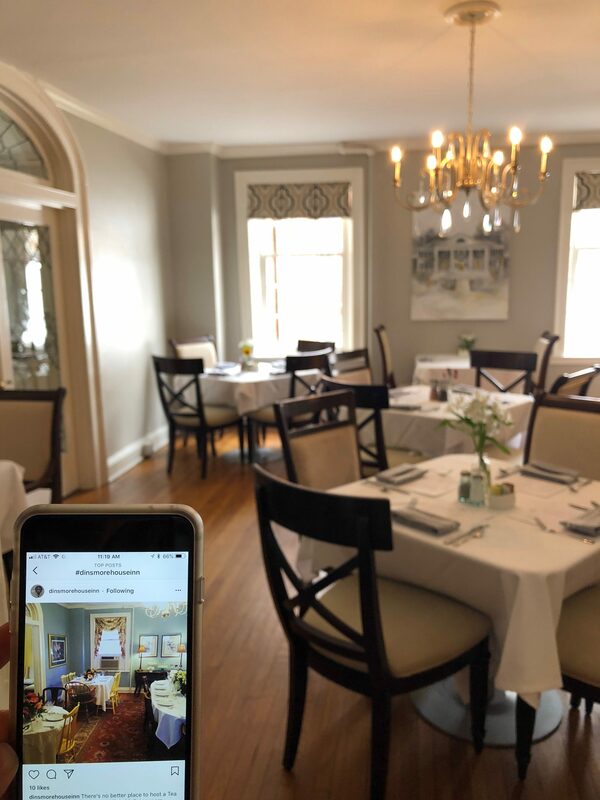 From our full-sized dining room, adjoined by a beautiful and spacious tea room, to our cafe area and outdoor terraces, the inn provides an ideal setting with a convenient mid-town location. We provide complete event hosting services for groups of 8 to 135, easily customizable to suit your group’s needs. 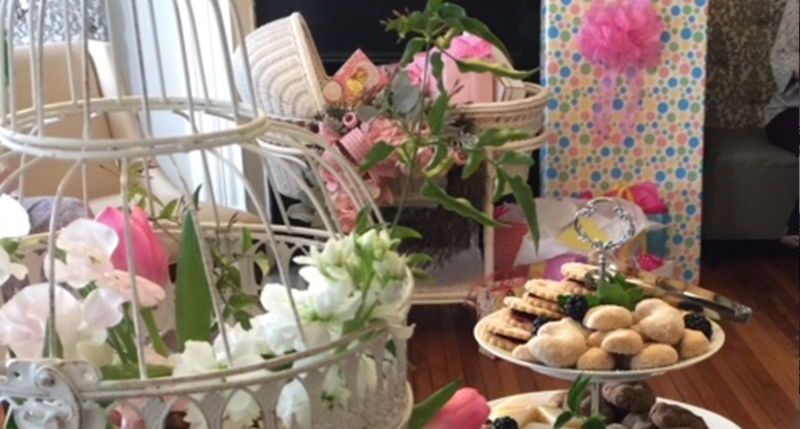 Over the last decade and a half, Dinsmore has hosted hundreds of bridal and baby showers. Two spacious event rooms offer plenty of options for the perfect customizable shower – be it an afternoon tea party, a cocktail reception, or ladies’ luncheon. A team of professional servers will assist you throughout your event. With three dining rooms and a tented granite terrace, we are perfect for an elegant rehearsal dinner, bridal luncheon, or a casual day-after-wedding send-off brunch. We offer a variety of menu options, served buffet-style or plated. Cocktails, wine and beer are available. Our space can accommodate up to 135 attendees. Our professional staff will take extra care to ensure a relaxed and enjoyable event. 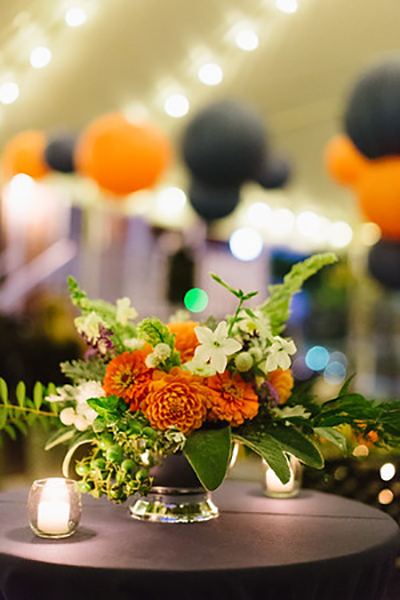 The Dinsmore is the perfect location to host your next University of Virginia Reunion or Mixer. Located ideally on the “Corner,” we offer a variety of menu options, served buffet-style or plated to suit your needs. Cocktails, wine, and beer are available and our space can accommodate up to 135 attendees when the granite terrace is utilized along with our interior spaces. Our professional staff will be with you from beginning to end, to assure your event exceeds your expectations. Our various dining area offer a cozy and, if needed, private space for your company’s breakfast, brunch, lunch, or dinner meeting. We have a variety of menu options, served buffet-style or plated to suit your needs. Our professional staff will be with you the entire time ensuring that your meeting and meal is a success.